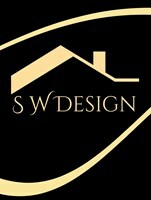 Welcome to SW Design Ltd Property Refurbishment, Extensions, Loft Conversions and Joinery in Worthing Sussex and surrounding counties. Over the years our company SW DESIGN Ltd Worthing , which specialises in Loft Conversions has grown to accommodate the people of Sussex and the neighbouring counties. Our record speaks for itself, our customers are happy with our work and we regularly gain work with recommendations from their family and friends. We are a business that strives on perfection we as a Loft Conversions Company can make you and your families lives better by creating extra space so you wouldn’t have the high costs of moving home.? From beginning to the end of your loft conversion our team will provide you with a schedule of work, which will explain the process, as well as inform you of what is needed or being done. As the process might be exciting as well as tiresome, our team will help make the process a smooth one by making sure you have all the right paperwork, or if your loft conversion needs planning permission or any other relevant information we can take care of this. We will make the process as efficient and with the minimalist of disturbance to you. Loft conversions are an asset to your home, as they add value, are cost effective and quicker to complete than most extensions.